With just over two months to go until the scheduled date of Brexit on March 29, and with no divorce deal in place, Britain faces the prospect of an imminent and chaotic departure from the European Union after 46 years of membership. Interviewed by AFP at the World Economic Forum in Davos, International Trade Secretary Liam Fox said Britain remained “open for business”. Britain “is an attractive destination for foreign direct investment — and that during the time where there’s been uncertainty over Brexit,” Fox said. 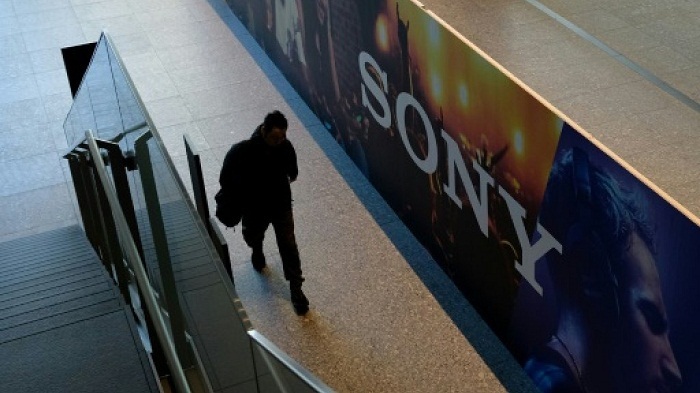 Japanese electronics giant Sony said it was moving its headquarters’ registration by the end of March to avoid Brexit-related customs issues. Its rival Panasonic last year also moved its European headquarters from Britain to the Netherlands over concerns about potential Brexit-related tax issues. France, Germany, Ireland, Luxembourg and the Netherlands have all benefited from companies moving out of London, although the large impact predicted by some on Britain’s financial sector has so far failed to materialise. Dutch officials are in contact with more than 250 companies about a possible post-Brexit move, the government there said Wednesday. The Dutch government will announce a final figure in February but “every new arrival of a business, big or small, is a success,” Michiel Bakhuizen, a spokesman for the Netherlands Foreign Investment Agency, told AFP. Some anti-EU campaigners, opposed to a negotiated settlement with Brussels, balk at the idea of settling a bill that their own government estimates at £39 billion (44 billion euros) to cover outstanding obligations. But Barnier, in interviews with several European newspapers, said the bill would still be due. Separately in the interview, given also to Luxemburger Wort and Poland’s Rzeczpospolita, Barnier restated the consensus EU position that the withdrawal deal must stand and that it is up to May’s government to find a way to save it. But he suggested that Brussels would be flexible and modify the political declaration on hopes for future ties, agreed alongside the binding withdrawal deal, if Britain were to compromise on May’s positions. “We are ready to be more ambitious if the British decide to shift their red lines, for example by remaining in a customs union, or participating in the single market,” he said, according to the Luxemburger Wort. The political crisis in London comes against a backdrop of growing economic gloom, with business leaders warning politicians of the effects of Brexit uncertainty. A Confederation of British Industry survey of 326 manufacturing firms on Wednesday found that new orders flattened in the quarter to January and sentiment about both the business situation and export prospects tumbled. Business concerns are particularly high over the prospect of a no-deal Brexit, which could immediately impose high tariffs on key exports such as food and cars. A disruptive Brexit could also have a major impact for transport hubs such as ports and airports.